Walking through Ramallah, one notices that almost every street has a new-looking street sign, in both Arabic and in English, with short biographies of those honored. The names are fascinating. Many are wonderful – poets, human rights activists, community leaders. 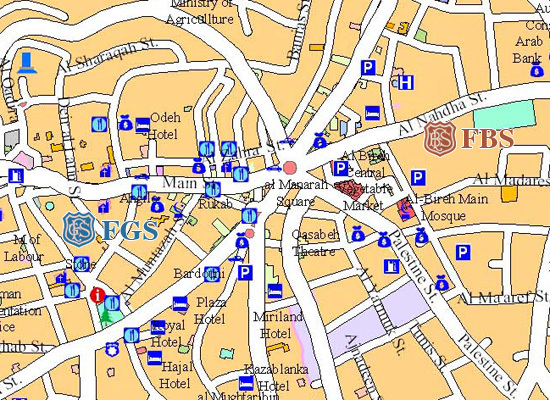 Edward Said has a street. There are socialist leaders from around the world – I noticed Salvador Allende and Patrice Lumumba streets. Some are sad – one is named for the Kfar Qasim massacre. A quick web search discovers that, disappointingly but unsurprisingly, at least one street is named for a major terror mastermind, Yihyeh Ayyash. 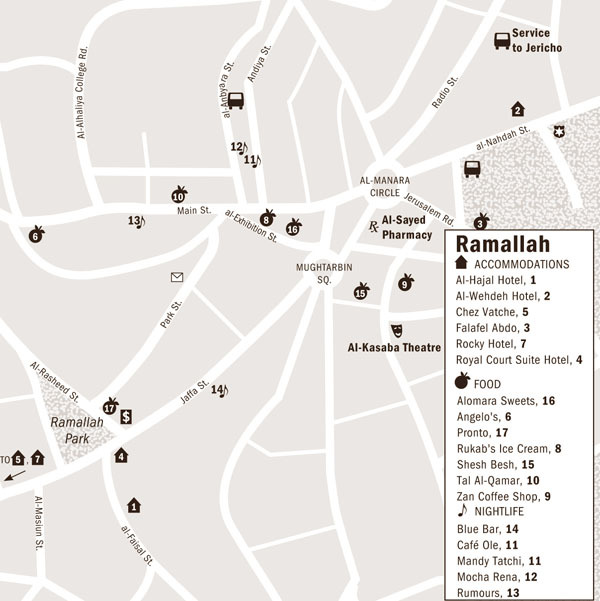 On a more mundane level, the Google and Bing maps of Ramallah give no street names and few streets. 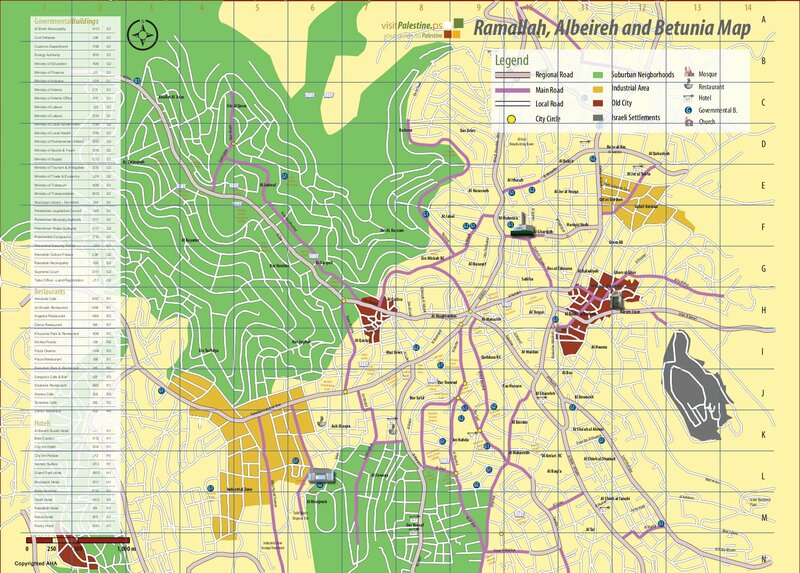 There are maps of Ramallah online in English, though none seem near complete. 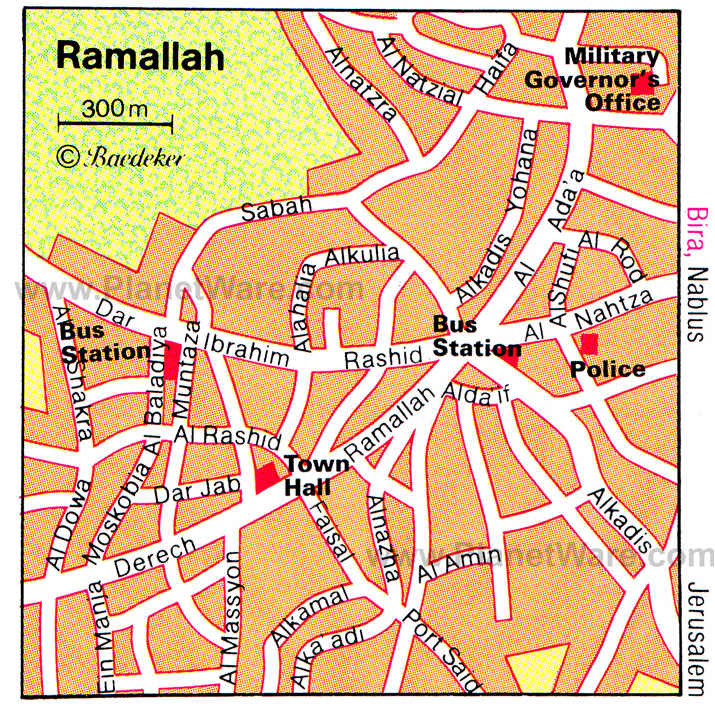 If anyone finds an English-language map of Ramallah that is more complete than the following five, let me know.